Have you ever struggled with the dilemma of encouraging high-risk clients to determine what is best for them, versus using your Risk-Need-Responsivity knowledge and tools to determine that for them? I know I have. If fact, in my entire career of 40 years, the topic of focusing on meaningful change targets has created more questions than answers. I am beginning to see that one solution is to emphasize the need to understand adaptive change. When I first trained as a Motivational Interviewing (MI) trainer, Bill Miller pulled me aside. Bill asked me to clarify what I meant when I repeatedly said in the class that we can determine what the most important objectives should be for a client based on their criminogenic needs. Bill listened as I tried to explain and convince him. In the end, Bill said ‘You may be right. But if the client doesn’t come to the same conclusion with some conviction, and you go ahead promoting that goal over the course of supervision, what’s likely to happen with your relationship with the client?’ I only sort of got it then. I suppose it was hard for me to adapt to a new way of thinking. In order for clients to give voice to real change possibilities they are considering, they need to feel safe to share without the concern that someone is trying to ‘mess with their head’. This safety is undermined when the client knows the practitioner is trying to change them in some way. Co-creating this kind of relationship safety takes time, and it takes a good dose of self-awareness (and adaptive change) to be a reflective listener. The more time that is required to get to the bottom of what the client’s real change agenda is, the more likely the supervising Parole Officer (PO) is apt to experience a personal discomfort that triggers his or her ‘righting reflex’. Once the righting reflex is activated, a PO is more likely to help clients arrive at facile change targets, and a client is more likely to collude by putting on a good front, aka pseudo compliance. The new goal might look good on paper, but somehow it doesn’t ring true because, underneath it all, the client is rather early in Contemplation about it all, or knows at a deep level that it is the wrong target. For example, a client might agree to a goal of no relapses with alcohol and other drugs, but she is much more concerned with her lack of self-control; she understands that she covers being impulsive with addiction, but does not feel safe enough to say this. For her, talking about her impulsiveness requires vulnerability and a willingness to share her true thoughts and feelings. In the example above the client’s struggle with Alcohol and Other Drugs (AOD) abuse is easier to identify than the chasm of concerns she has about her self-control. But the latter change target is likely far more adaptive for her than the former. How can we uncover this distinction in an ordinary supervision session? To surface adaptive change targets, I now believe we must redefine what an ordinary supervision session is and train ourselves in tools that support a more reflective approach to identifying adaptive targets. Yes, MI provides a framework for such a session, but more tools and innovations may be needed. For example, a practice like Role Clarification can aid in the process of creating safety by inviting and modeling engagement and participation at the beginning of a session. As a change conversation pivots from evoking change talk (desires, reasons, abilities and needs for change) to planning, the listener can usually make some pretty good determinations about the change target surfaced thus far. a) make some substantial sacrifices? c) question some of their cherished assumptions (e.g., ‘I’m not good enough’; If I give up X I’ll perish; etc.). To the degree that the answer to the questions above are true, there is greater likelihood that the emerging change target is adaptive in nature and therefore full of value for the individual because it offers the potential to experience greater wholeness. If it turns out the individual is not feeling a sense of sacrifice, threatened self-image or bumping up against any deeper self-assumptions, then the candle probably isn’t worth the game (the stakes in the card game aren’t worth burning up a candle over). If the listener is willing to circle back with his or her partner and revisit the focusing process, there’s a good chance that individual will now disconfirm the adequacy of this respective change target. However, this is forward movement, not backwards because though the conversation may now return to focusing, the engagement is more genuine and there are fewer faux targets to be navigated. These tips on surfacing true change targets apply not only to probation officers and the like, working with higher risk clients, but to managers working with their officers. These two different kinds of sessions have more in common than one might think at first glance. Both involve power or authority differentials. Both sets of interactions are typically subject to time limitations. There is a lot of discretion in both of these engagements regarding how the conversation is going to unfold. In fact, it is probably in part because of these same commonplace issues, that focusing on really good change targets has such a premium in many of our systems today. Therefore, I see an incredible benefit in training managers to become change agents and model the skills needed to work effectively to help a person change and grow. In order to freely engage in the kind of process outlined above undoubtedly requires a certain amount of patience and humility (MI equipoise) on the part of the listener. But if one considers the energy expended barking up wrong tree’s and worse, monitoring and enforcing extrinsically imposed change targets, the real value proposition becomes much clearer. We must avoid becoming the pilot in someone else’s change (or plane) if we are going to maintain good balance and help people change their lives. What we are really talking about is leading adaptive change at a systemic level. Co-creating adaptive change targets represent a current challenge for the field. Until we succeed in this challenge, we will be limited in the impacts that we achieve from many EBPs. I believe that one key to leading the adaptive change that is required to remedy an issue like focusing is to begin at the top. Training a director or mid-management to focus on adaptive change with staff will influence how clients are treated. Another solution is to begin to create models for practice that emphasize adaptive change over technical as an integral aspect of core correctional practices. 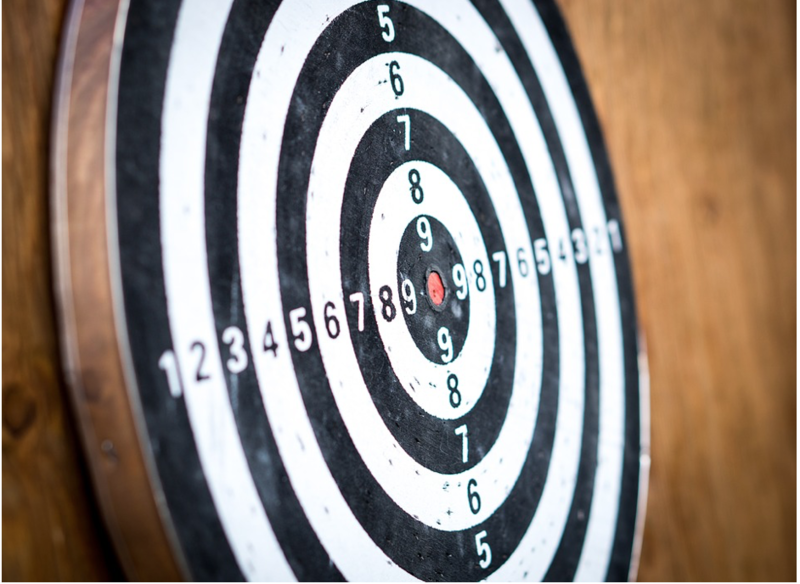 To learn about cutting-edge innovations that help practitioners learn to spot adaptive change targets and effectively work with them, contact [email protected] and follow Brad Bogue on LinkedIn to gain access to more blogs like this.